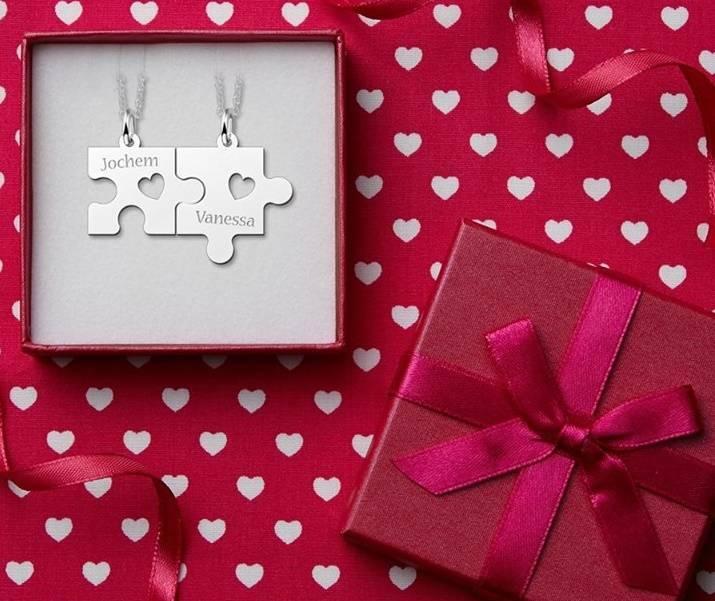 The silver friendship necklace for 2 is a 4-piece set that interlocks to form a perfect whole. You receive 2 pendants with 2 chains. 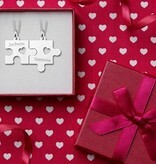 You wear 1 set yourself and give the other to your best friend or sweetheart. 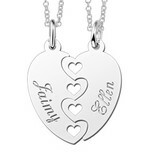 The pendants contain your names in openwork. 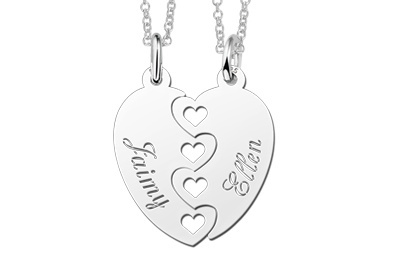 Who do you share your heart with? 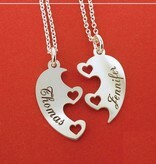 ♥ KAYA uses solid .925 Sterling Silver for both the chain and the charms. 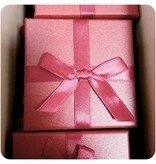 ♥ Available in children's size (42cm, adustable to 38 cm) and adult size (50cm, adjustable to 45 cm). 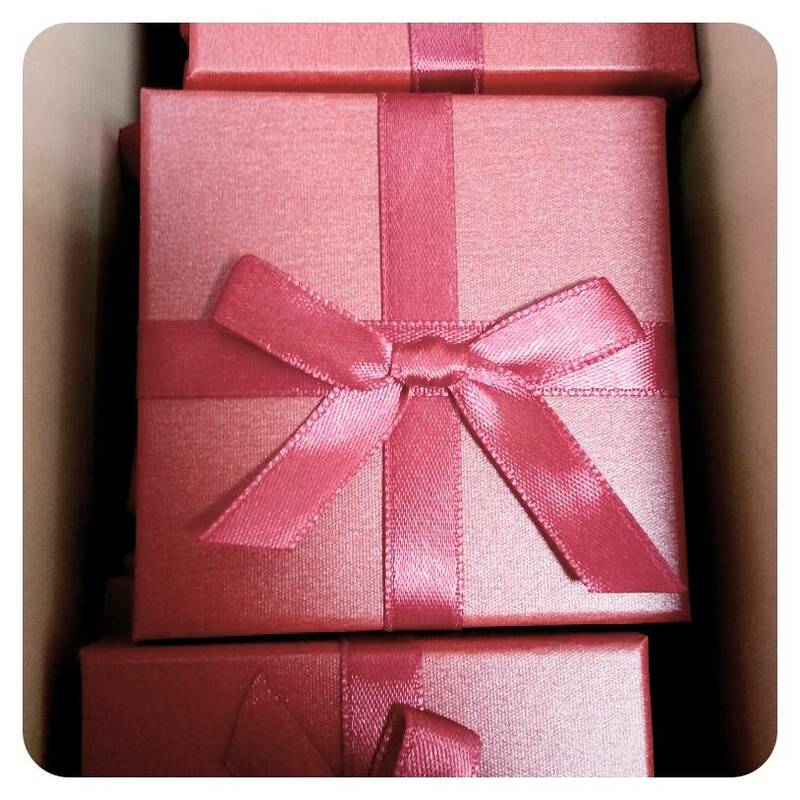 ♥ We gift wrap the jewellery in a pink gift box, ready to be presented.